Cathy offers several classes and lectures which can be tailored for your guild's needs. 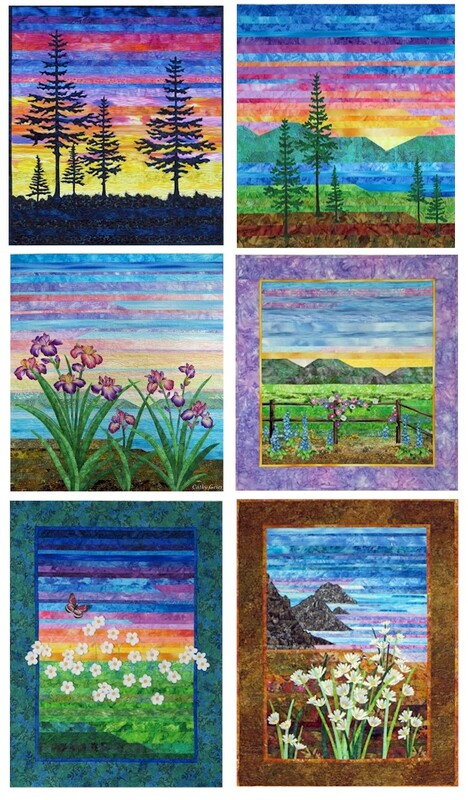 Turn your scraps into landscapes, no piecing required! 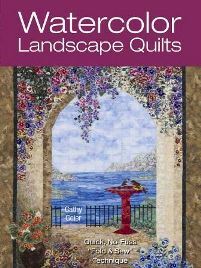 This is a great class for beginners and for quilters who like landscape quilts but never thought they could make one. 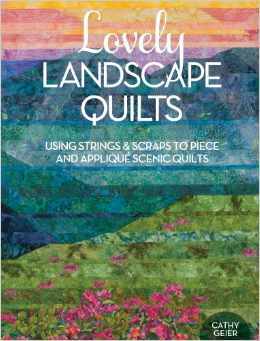 Students may choose to purchase a kit or purchase my book Lovely Landscape Quilts at a greatly reduced price. (Fabrics may differ from projects shown here.) Cathy’s fee is $475. Click HERE for further details. Strip Applique Projects - I might not be able to supply all of these kits due to fabric availability. Interested guilds should contact me about the kits I have available. If your guild members want to have fun, this short sweet class is the ticket! I supply all the markers, pastels, paints, crayons, etc. In 3 hours students will construct one very simple landscape on a whole cloth background and learn to shade tree trunks and draw simple saplings. 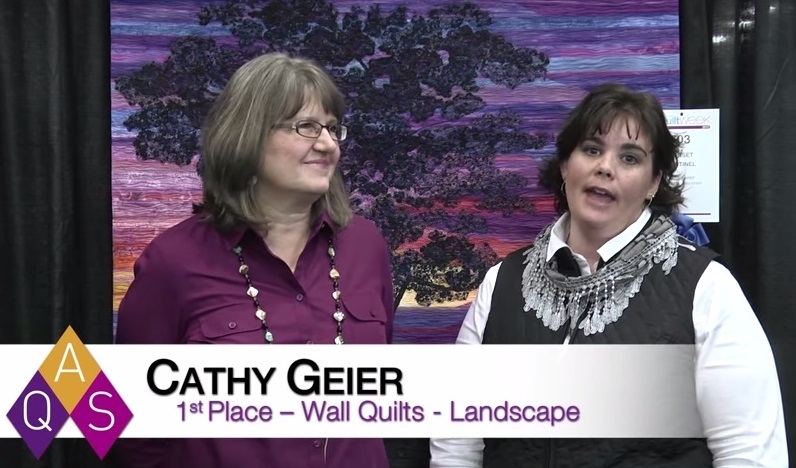 This is a very fun 'freeing' class and introduces an easy technique for students wishing to add something special to their landscape quilts. Kits are required. (Kits are $17) Cathy's fee is $250. Class Project Samples - fabrics might vary a bit as I get new prints and batik backgrounds. 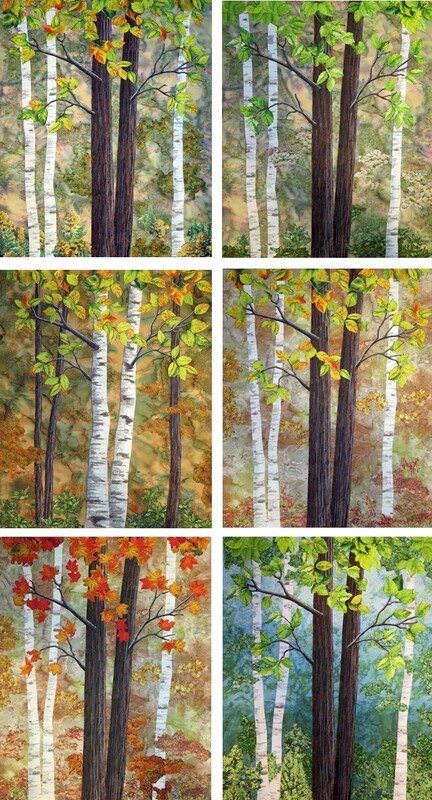 In this one day class students will create a landscape featuring birch trees, background and foreground foliage. They will learn how to create a natural foreground, to cut out realistically shaped tree trunks, branches and saplings, and learn how to shade them with dye markers or pastels creating three dimensional effects. Cathy will supply markers and pastels for the students. Kits are required and range from $25 -$30. Cathy's fee is $475. Projects may be slightly different than pictured. Please contact Cathy for any additional information. Thanks! Do you have a max number of participants for a one day workshop? Elise, that is one of the best compliments I've ever had. Thank you so much for telling me about it and I'm so glad your daughter had fun there. I assume you have seen the blog posts I wrote as I made the quilt? I started making the quilt in June, 2017 in case you want to look at them. 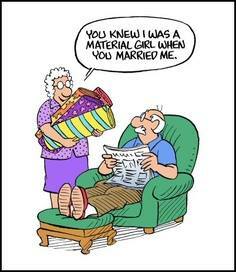 What a sweet story - thank you so much! Do you come east bound? I live in VA.